Perfect for everyday action indoors and out, these Adventure Roll Ups are just the thing. 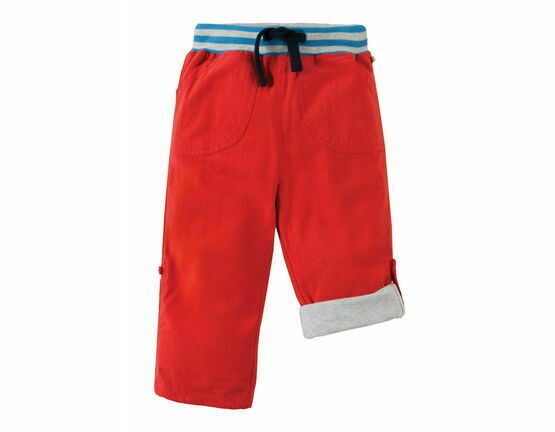 Made from a clever cotton weave that helps to prevent and stop any rips and tears! 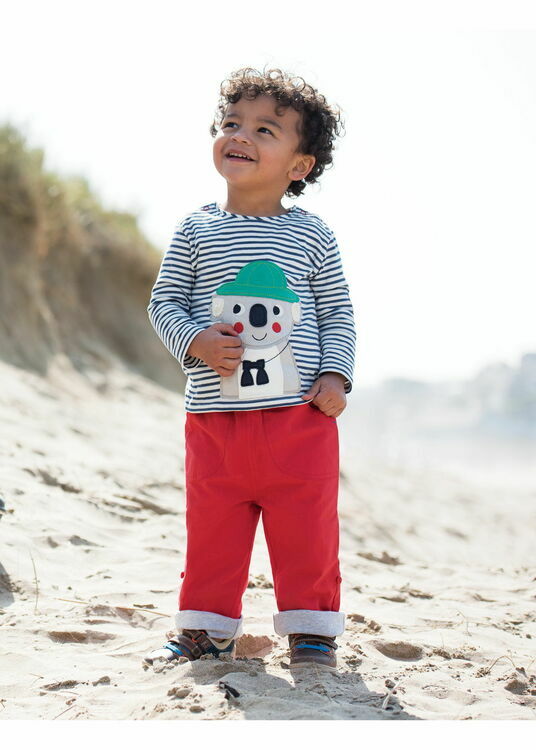 These comfy trousers in a cheerful tomato red are fully lined with soft grey marl cotton jersey, have handy button fastening tabs on the sides of the legs to keep the trousers rolled up on warm days. 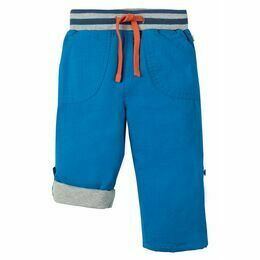 They have an elasticated waist with an adjustable drawcord in navy. 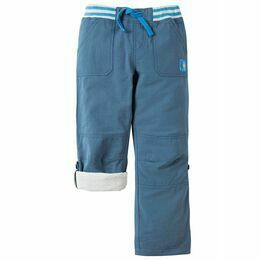 Reinforced, double layered knees for added protection and hard wearing. 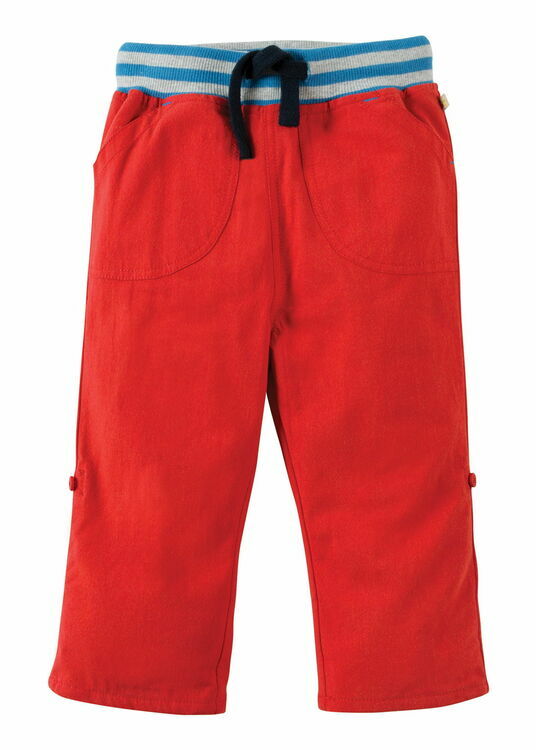 There are also roomy pockets front and back with velcro fastenings. 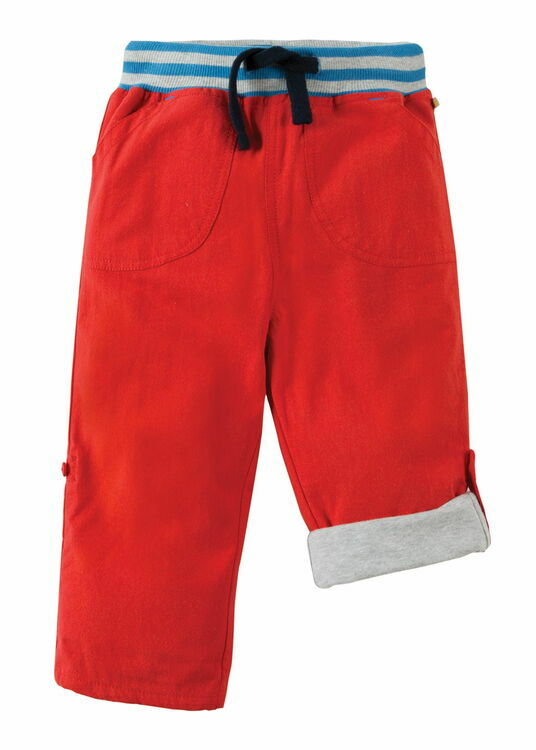 The ultimate pair of trousers for an active child.